I watch dog videos almost every day, but today I was moved by this one. A dog definitely can change your life. Leader Dog for the Blind is an organization that "empowers people who are blind, visually impaired or Deaf-Blind with skills for a lifetime or independent travel, opening doors that may seem to have closed with the loss of sight." They have different programs and one of them is the Prison Puppy Program. This beautiful video shows how prisoners can give meaning to their lives by helping others. They train the dogs for one year and then, as hard as it is, they let their friend go to help someone who needs a guide dog. 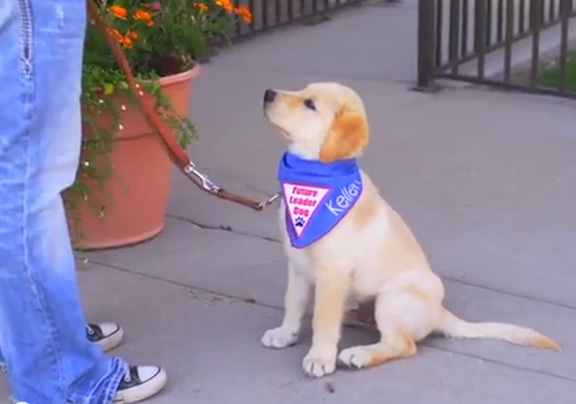 Enjoy the video and visit the Leader Dog for the Blind website. You can help by volunteering or donating. This week we celebrate dogs who are more than companions, dogs who help people with disabilities and support them at a physical and emotional level. 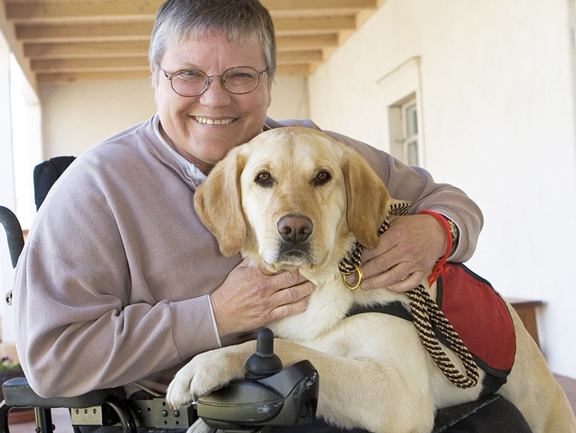 International Assistance Dog Week was started after the efforts of Marcie Davis, a wonderful woman who wrote the book Working Like Dogs: The Service Dog Guide book, a great resource with practical advise and guide about service dogs. She is also a host of the internet radio program Working like Dogs. Dogs have an extraordinaire intelligence and ability to help, but not all breeds are recommended to be trained for service. Between the most common service dogs we have Golden Retriever and Labrador, "A good service dog is not protective, is people orientated, not overly active, confident but not dominant or submissive. Service dogs should not require complex grooming as this could be a problem for their owner"
To read more of which breeds make a good service dog and to find assistance, go to the Assistance Dog International website and find your regional chapter. There is so much to learn about. 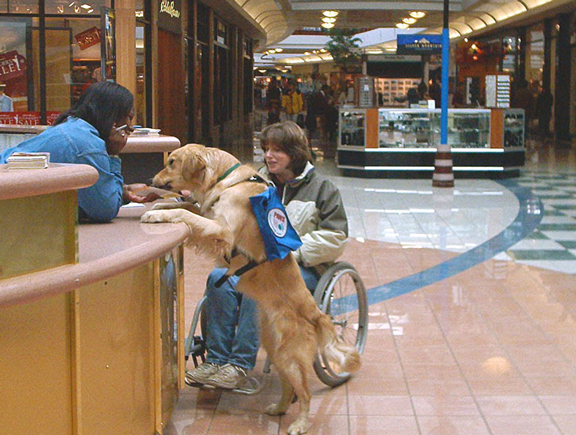 Some of the assistance dog types are: Guide dogs for the blind and visually impaired Hearing dogs for the deaf and hard of hearing Service dogs for people with other disabilities like Brace/Mobility Support Dogs (BMSD), Wheelchair Assistance Dogs, Autism Assistance Dogs, Diabetic Alert Dogs (DADs), Severe Allergy Alert Dogs (AADs), Seizure Response Dogs, Medical Alert Dogs (MADs) and Psychiatric Service Dog (PSDs) just to mention the most common types. Celebrate Assistance dogs by spreading the word. Do you or a family member or friend have the blessing of enjoying the company of a service dog? Tell us about it in the comments section below! We would love to hear about your experience. Note: The images in this post are from the International Assistance Dog Week website.